Hospitality of KINUGAWA GRAND HOTEL YUME no TOKI offers various delights that can be experienced only in Japan, such as Japanese gardens that gives the feeling of transition of seasons and natures, high-quality hot spring to ease tiredness from busy days and travel, and luxurious kaiseki ryouri (Japanese dishes served on a tray to each individual) that expresses the seasonal scenery in a small basket of appetizers. 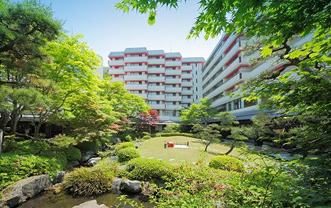 KINUGAWA GRAND HOTEL YUME no TOKI is a Modernistic Ryokan (Japanese hotel) consisting of main buildings and annexs surrounding the garden. 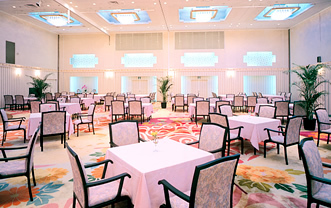 It also has recreation building including spa facilities, as well as grand bathing centers and open-air bath, restaurants, halls and conference rooms. In the spring, leaves burst with spring colors after enduring harsh winter. In the early summer, trees with dark green leaves sway in a rush of cool and refreshing air. In the fall, the levees are colored in bright red and yellow. In the winter, everything is blanketed with snow. Here is the space and time that you can feel the four seasons in Japan all through the year. 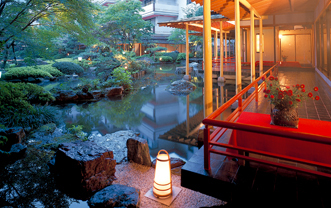 Japanese dishes cooked in an elegant old Kyoto style with sincerity were arranged in small baskets. 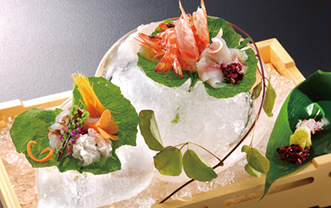 Each meal is served on a tray in each individual, the style which is called "kaiseki ryouri.quot During the course of meals, each of which makes the most of in-season ingredients to express the beauty of the season, you would find yourself indulging in the orchestration played by each tasteful meal. 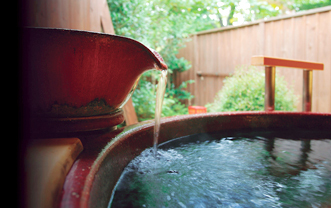 The hot spring includes alkaline content, meaning that it is kind to skin. The grand bathing centers for both ladies and gentlemen, and the open-air bath are there to ease tiredness of the guests. In addition, there are fivechartered open-air bath quotKakulenboquotwhere a couple or a family can occupy by themselves for their privileged pleasure (charged separately). 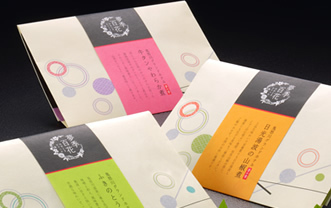 In addition to standard souvenirs such as Onsen-manju and Nikko yuba (bean curd skin) , we offer local products that are not sold at other hotels, such as tomatoes and strawberry jam using Tochigi's harvests, as well as original products of the hotel. We use LED lights in 80 of in-house lights to reduce more than 40% of lighting-related power consumption.